DOES THIS WORK? We’re not making claims of success for every snorer. There are many types of breathing obstructions so it might not work for you. But we strongly feel our carefully researched combo bag will give you a strong fighting chance to conquer your snoring and give you and your sleep partner a peaceful night’s rest. 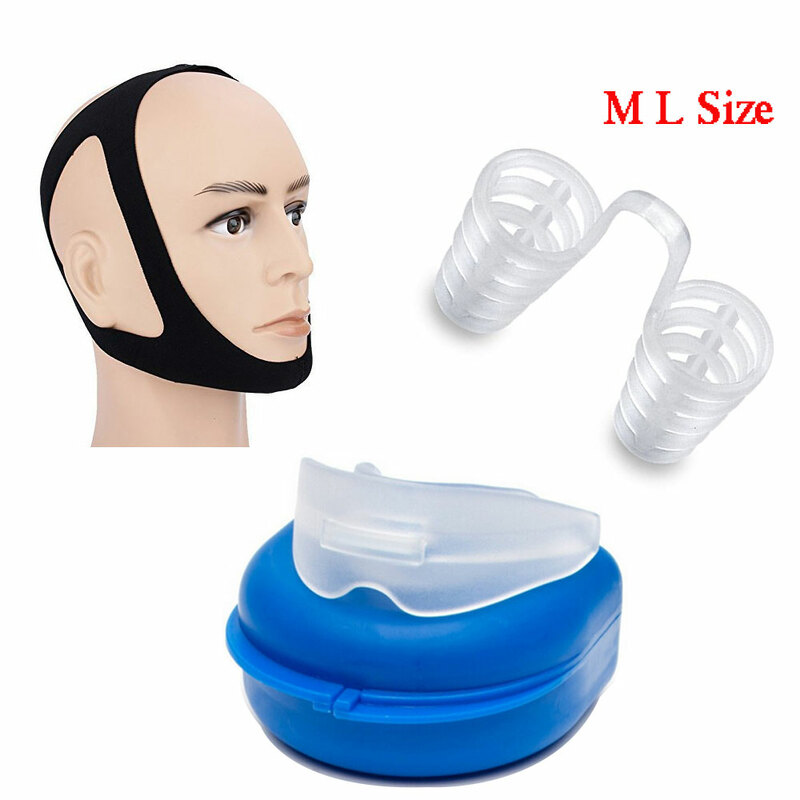 The solution that’s best for you may be any one of the devices, or maybe a combination such as chin strap with a nose dilator. Let’s explore and see what works! – CHIN STRAP: A near instant remedy for some snorers. It works by eliminating snoring by simply holding the chin up and keeping your mouth closed. It works by repositioning the jaw and opens up the nasal airway for airflow. Using a chinstrap with either a nose dilator often yields tremendous success. 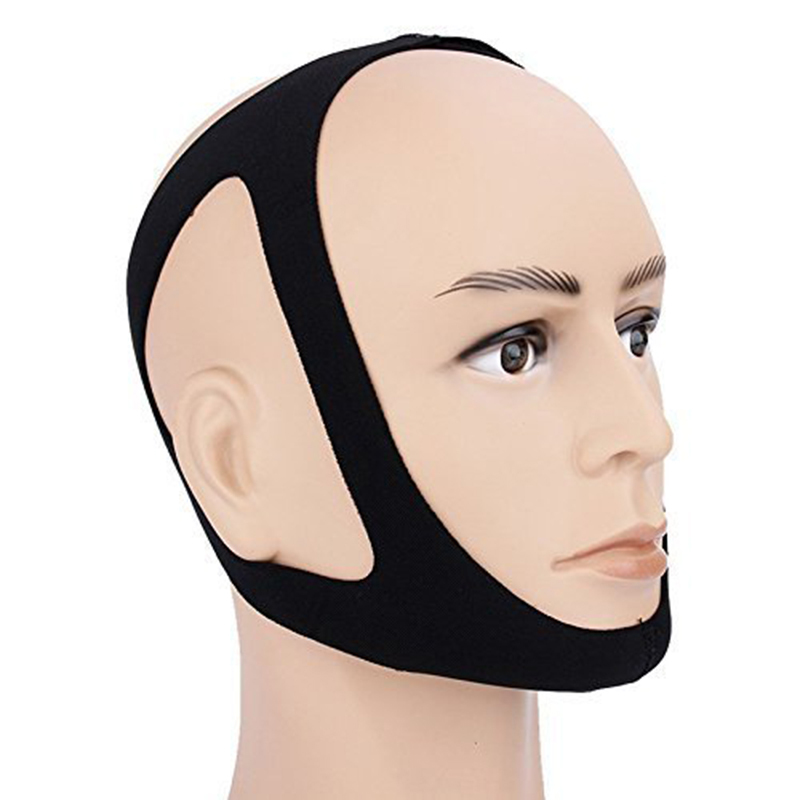 Our Neoprene chinstrap is adjustable, stretchable and breathable. 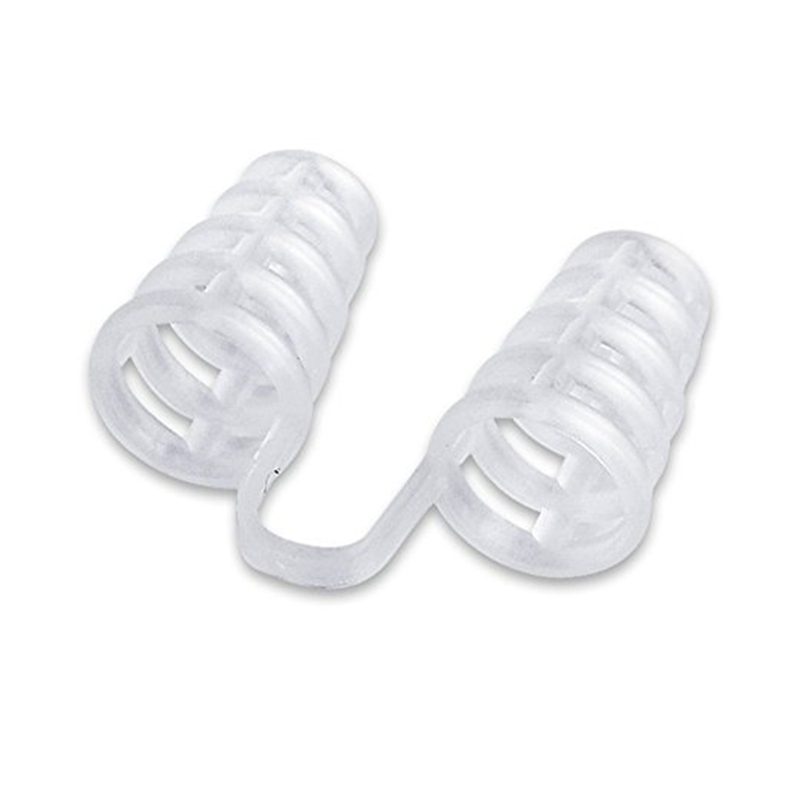 – NASAL DILATORS: Also known as a nose vent, maximize airflow through the nasal passage to stop snoring all together. It’s designed to strengthen and expand the nasal passage, and maximize the air that flows in while providing a warm, comfortable feeling and is virtually invisible to outsiders. The dilators have slits which allow the nasal hair pass through making sure they still filter the air. 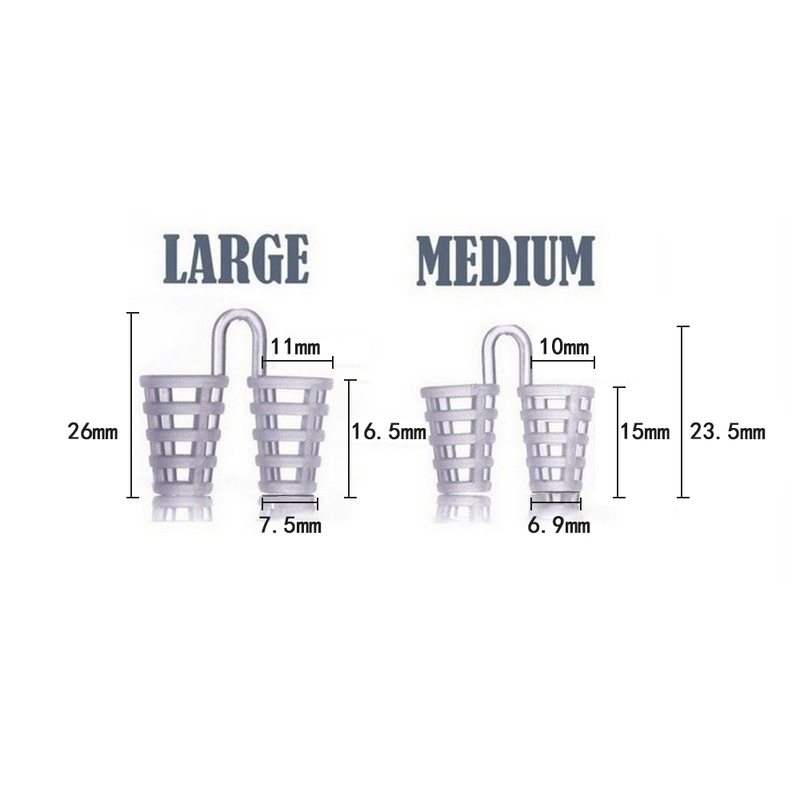 We offer four sizes to ensure a custom fit for you. 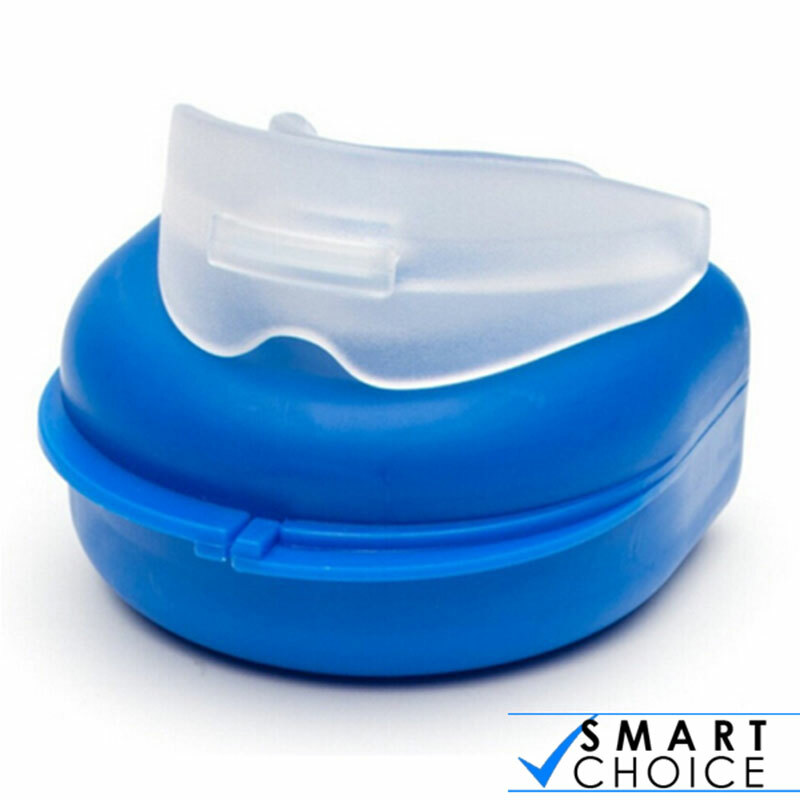 – MOUTH GUARD: Stops Bruxism, teeth grinding. It is fitted using a simple boil and bite process. If you have ever used an athletic mouth guard and molded it to your teeth then you already know the fitting process.